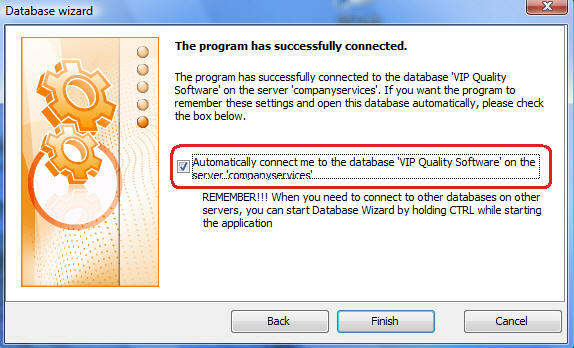 Home » Support » Frequently Asked Questions (FAQ) » I connect to the current database automatically. How to connect to another database? 2. 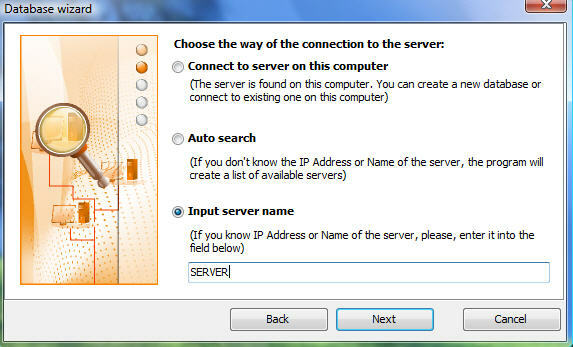 Connect to the server where you would like to create a new database or choose another database for connection. 3. 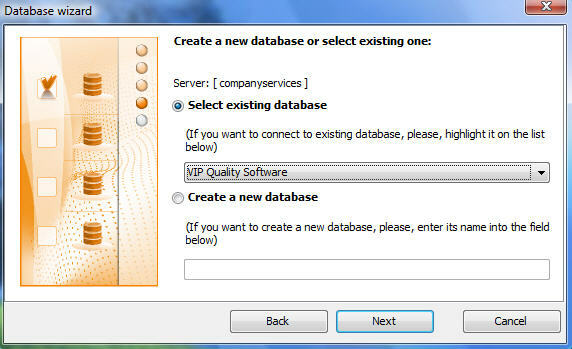 Set radio button at one of the following options "Select existing database" or "Create a new database"
4. Pay attention to possibility of auto connection. 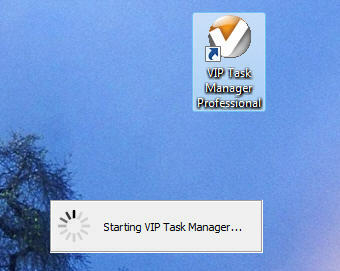 Set checkbox "Automatically connect me to the database . " 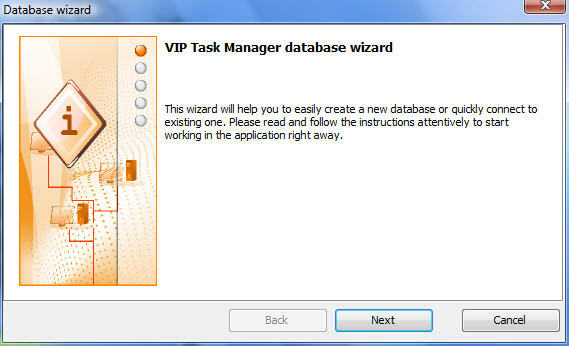 if you would like to be automatically connected to this database next time.